RPG’s profiling radiometers are mainly used to derive vertical profiles of atmospheric temperature and humidity (RPG-HATPRO). The infrared radiometer extension allows to cloud base height and ice cloud detection.The radiometer series covers high-resolution temperature profiling of the boundary layer and low-humidity applications. All models of the series provide accurate total amounts of atmospheric water vapor and cloud liquid cloud. 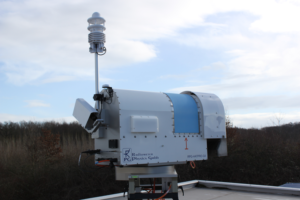 RPG radiometers are stand-alone systems for automated weather-station use under nearly all environmental conditions. A variety of retrieval algorithms (custom designed and global standard algorithms) can be selected.